The beginnings of the Town date back to June 3, 1688 when Governor Thomas Dongan of New York Province granted the Hoosick Patent to Marie Van Rensselaer and her three associates. The Walloomsac (1739) and the Schneider (1761) patents added to the boundaries. Early settlement of the patents progressed slowly because of the continual threats of attacks from the French and the Indians during the French and Indian Wars. The Town's location was on a major Indian highway, the "Great Eastern Trail", which was used by the Algonquins and Iroquois. When settlement did begin, it developed near the rivers and streams. 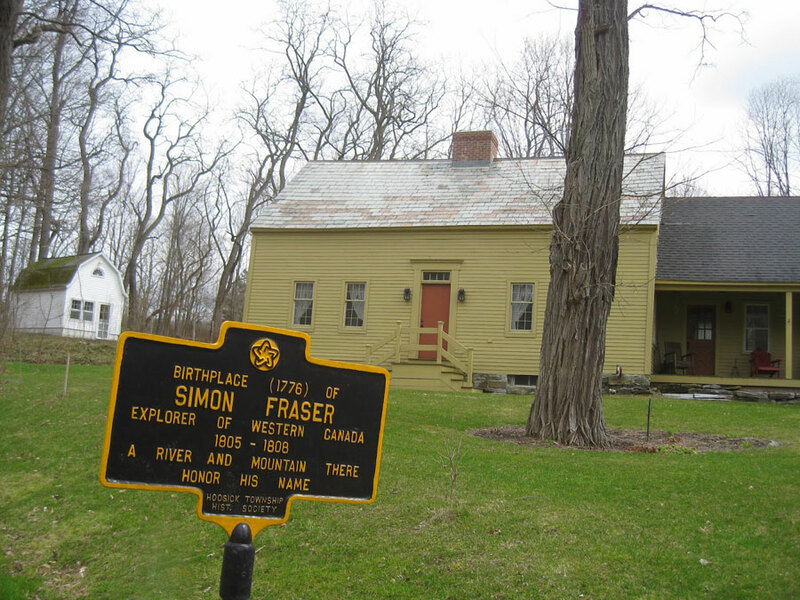 In North Hoosick there is evidence of an early French settlement (St. Croix) near the junction of the Hoosic and Walloomsac Rivers. This settlement was entirely broken up by a party of French and Indians on the August 28, 1754. The district of Hoosick was formed on March 24, 1772. Hoosick remained a district sixteen years and was organized as a town on March 7, 1788. Town records are complete only from the year 1789. The most historical event to occur in the Town was the Revolutionary War Battle of Bennington which was fought on and about a hill top in Walloomsac. Here, General John Stark, Colonel Seth Warner and the Green Mountain Boys defeated some of Europe's best regular soldiers. The result of this battle was disastrous to General Burgoyne's campaign, and contributed more than any other event to his final surrender at Saratoga. 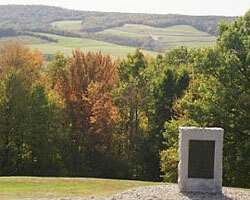 Visit the historic site of the Battle of Benningon in Walloomsac, NY. The Hoosick Township Society has over 225 members. The society prints a six page historic newsletter that is sent to each member 10 times per year. Three first page of newsletters are included below. If interested in membership or information use the link above. 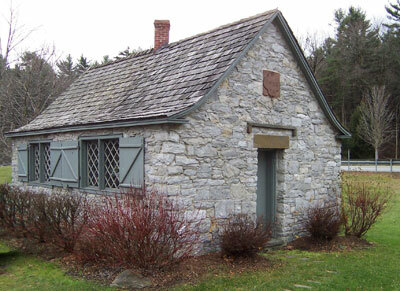 Feeling the need to educate the children of their tenant farm, Mrs. George Tibbits hired John Grant, an Irish stonemason, to construct the Stone School House in 1842. Folklore surrounds the Stone School House as bands of gypsies were given permission to camp there starting in the late 1800’s. The last band of gypsies left in 1965. Local legend ties a member of the Tibbits family romantically with a gypsy.